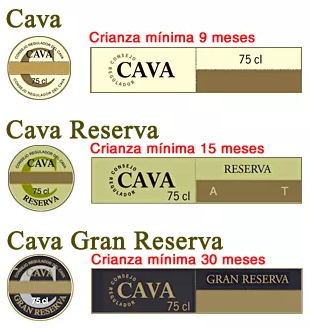 Spain's government has approved 12 Cava grape growing sites to sit above all others in a new top-level classification designed to promote single-vineyard wines. The saying is that ‘good comes to those who wait’, and Cava producers and fans have had to be patient for official sign-off on the new premium classification, the Cava de Paraje Calificado. Last week, Spain’s ministry of agriculture announced the first 12 sites to form part of the new classification at the top of the Spanish sparkling wine‘s hierarchy. It’s part of a general shift in Spain towards greater recognition for specific vineyard sites, as seen recently in Rioja. ‘Cava has long needed this,’ said Sarah Jane Evans MW, Spanish wine expert and co-chair of the Decanter World Wine Awards. Cava producers have faced stronger competition in foreign markets in recent years, notably from Prosecco. This has led to much internal debate about the future of Spain’s Cava DO. Evans told Decanter.com that she was delighted to see the new classification approved. ‘This should be the beginning of long process to turn round the image of Cava.’ she said. Codorníu said that it only made around 300 bottles each of its three wines in the new classification, with a recommended retail price of 90 euros per bottle. Pere Bonet, chairman of the Cava regulatory council, told Decanter in 2016 that ‘the wines that carry this seal will have been sourced from single estates in the very best terroirs of the Cava-producing region’. Rules include a maximum yield of 8,000 kg/ha or 48 hl/ha, 36 months ageing in bottle, only vintage wines and only Brut styles. For more rules, see Jefford’s column on the new classification.